In my previous post I wrote about the ancestors of Anthony Colby, this post will be about him and his life in Massachusetts. 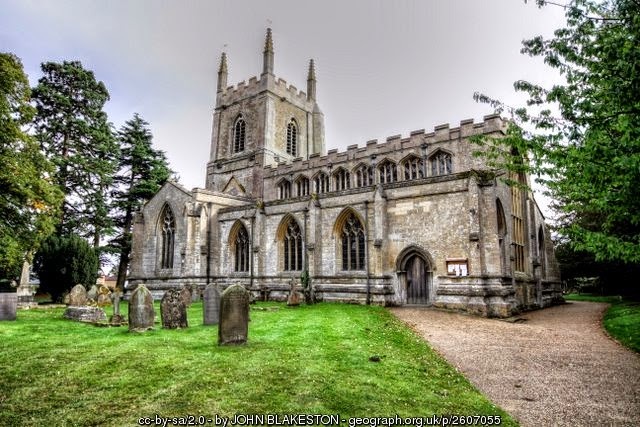 Anthony Colby was baptized in the centuries old parish church of Horbling in Lincolnshire on 8 September 1605. The church, St. Andrew's, was vastly different from the one in which Anthony would baptize his children. In fact, the building in which his children were received into the Puritan fold was not even a church, just a multi- purpose building used for town meetings and worship services on Sundays, it was known as the meeting house. So why did Anthony leave Horbling and the parish where his family had lived for centuries. What called him to start a new life in what must have been a frightening place, so far from home. The root of his desire to leave most likely began with Theophilus Clinton the 4th Earl of Lincoln. The Earl had studied at Emmanuel College in Cambridge, a hotbed of Puritan belief, and he, and his family became great promoters of the Puritan movement. The County seat of the Earls of Lincoln was Tattershall Castle in Lincolnshire, but they also had a manor house in Sempringham, a stones throw from Horbling. It was at a manor house in Sempringham in August of 1629 that John Winthrop signed the Cambridge Compact and was elected as Governor of the Massachusetts Bay Company. The decision to immigrate was agreed, and the company could move forward with their plans. Also attending the meeting were employees of the Earl of Lincoln including Simon Bradstreet and Thomas Dudley, the Earl of Lincoln's steward. Simon's father, the Rev. Simon Bradstreet, was vicar at St. Andrew's Horbling. So it would seem that our Anthony was raised in a center of Puritanism and knew some of the key players in the migration to America. Although there is no proof, it has been theorized that Anthony Colby was an employee, read servant, of Simon Bradstreet. The Winthrop Fleet, as it has come to be known, left England for America in two waves, one in April and one in May of 1630. It consisted of 11 ships and about 700 brave men, women and children. They arrived in Massachusetts in June and July. I have seen on some websites that Anthony sailed on the flagship Arabella, but there is no list of passengers for that ship or any ship and very few of the Arabella passengers have been positively identified. Suffice it to say that all of the immigrants no matter the name of their ship were brave, maybe a bit crazy, and share equally in the great feat they accomplished. In any case Anthony was in Massachusetts by the summer of 1630. I have also seen it written that Anthony landed in Boston, but he didn't. There was no Boston in the summer of 1630. The fleet landed at Salem, which had been established as a sort of "beachhead" for the immigrants. At the time of their arrival Salem was a small village of about 10 houses and one muddy street. 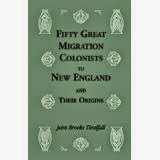 John Endicott and others had scouted out a location for the new colonist to set up shop, they had even built a large Governor's house for John Winthrop to live in and conduct colony business. This new location was further to the south and would become Charlestown. So, if there were no passenger lists and very little documentation on who immigrated at that time, how do we know that Anthony Colby was on one of those ships? The answer is in the records of the First Church of Boston. This church really began in Charlestown when the settlers, beginning with John Winthrop, signed a covenant to form a church. Names were added as they joined the church. Anthony Colby's name is the ninety third on that record. People, smarter than me, have surmised that he must have become a member in the winter of 1630/1. This would mean that he would have had to sail with the Winthrop Fleet to be there at that time. The new settlement in Charlestown was hard hit by disease. Many of the colonist suffered from scurvy and malnutrition. A high number of the immigrants died in the first few weeks. Charlestown was particularly hard hit. The lack of fresh water seems to have been to blame. It was decided, despite the approach of winter, that they group should move to the Shawmut Peninsula where there was a spring with sufficient water. This new settlement was named Boston, in honor of Boston, Lincolnshire. Anthony's first home in Massachusetts is said to have been Boston. 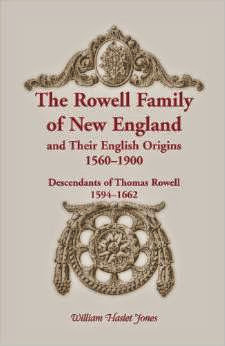 By 1632 Anthony was living in Cambridge or Newtowne as it was first called. Thomas Dudley and Simon Bradstreet both lived in Cambridge in the early days so Anthony might still have been working for Simon. The location of the town of Cambridge, some five miles up the Charles River from Boston, was chosen based on the ability to defend it in the event of an attack. It was laid out in an orderly manner and was at one time surrounded by a wooden palisade. Anthony received two house lots with land, both outside the center of the town. They were both on the Watertown side of Cambridge possibly where Brattle Street is today. 1632 was also the year he married. His wife was the widow Susanna Waterman, her maiden name is unknown. Their first child was baptized by the Rev. John Cotton in Boston on 8 Sept. 1633, shortly after his arrival in Boston. Anthony also traveled to Boston to take his Freeman's Oath on 14 May 1634. His freeman status would allow him to vote and perform other civic duties, such as serve on juries. For reasons unknown to us, Anthony decided to leave Cambridge. He was briefly in Ipswich, some 30 odd miles to the north. His name is found on a 1637 Ipswich petition and he was in court in Oct. 1637 in a case recorded as Anthony Colbie of Ipswich. He did not stay long for in 1639 Anthony sold at least one of his Cambridge houses and lands to Simon Crosby. By 1639 Anthony had moved once again, this time to the newly formed plantation of Salisbury. He was then about 35 years old and entering the prime of his life. How his wife felt about packing up and starting over with four small children we'll never know, but I bet I can guess! With each move the family would have to build a new home, plow virgin fields, and establish new bonds with their neighbors and fellow citizens. 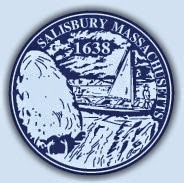 The history of Salisbury is of great interest to me, my family is descended from many of the original proprietors. When I read about him and his family and their dealing with their neighbors, I am reading about other ancestors. Case in point, Anthony was a co-owner operator of a saw-mill. The other owners were William Barnes (ancestor), William Osgood (ancestor) Phillip Challis and Samuel Worcester. I imagine many of their customers were my ancestors as well. Anthony also bought and sold land to and from other ancestors, including William Sargent. Anthony Colby seems to have been always at odds with the leaders in town affairs and was often in controversy, legal or personal, with the authorities. Once he was fined for making a speech in the Town meeting on the grounds that he had created a disturbance. He worked incessently to have the new settlement at Amesbury set off from Salisbury as a town. The fight was carried on after his death by his sons, and the separation was finally accomplished in 1666. Colby was an industrious man, and in spite of moving every few years, and in spite of many children, he became one of the largest property holders in Amesbury. His lots included “Black River,” “Fox Island,” “Lion’s Mouth,” “Great Swamp,” “Hampton River,” “Whiskers Hill,” and lots from the third and fourth divisions. His inventory for his will set a value of 359 pounds sterling upon his property. I don't know who wrote it or when, but much of the information is flat out wrong, so don't copy it! There is also a picture of a drawing on an Anthony Colby floating around the internet and ancestry.com that is said to be this Anthony Colby, but it is not. The picture is of Anthony Colby, born 1792, who was once a governor of the state of New Hampshire. There are no pictures of the immigrant Anthony, got it, good. Anthony and Susanna had at least seven children, which was less than average as some of my ancestors had 10-12 children. Many of their children died before age 45. Samuel is the only one who is known to have lived to a good age of 78. Samuel and Mary are both ancestors, they married Elizabeth and William Sargent, children of William Sargent of Salisbury. 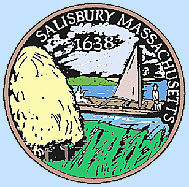 Although Antony originally settled in Salisbury, he eventually moved across the Powwow River onto land that would eventually become the new town of Amesbury. The sawmill was on the Powwow River near some waterfalls. In 1654 Anthony bought the home of Thomas Macy who was leaving town after being caught in the act of sheltering folks during a rainstorm. Unfortunately the 'folks' were Quakers and it was against the law to aid or give shelter to any of that religious persuasion. The house was probably built around 1649 so it was a mere five years old when Anthony purchased it. The house still stands today, it is a museum owned by the DAR. It is a traditional saltbox house that was modified in the 1740's. I would love to go and see it someday! Anthony died in February of 1660/1, apparently without a will at the youngish age of 55. I suppose he may have died quickly, not having been ill and not feeling the need for a will. His youngest child was only ten years old. An inventory of his estate was done by his neighbors shortly after his death and presented to the Quarterly Court. He was not one of the largest land owners in Amesbury as so others have claimed. His total estate was valued at about 359 pounds, of which about 185 was in real estate. Not much was written about Susanna which is not unusual for the times. Unless a wife got up to no good, she was hardly, if ever, mentioned. Susanna remarried two years after Anthony's death to William Whitridge of Amesbury. He died five years later. Three times a widow, she did not marry again. Susanna lived in her house until her death at age of about 81. Her last years were not good. Her well being was the topic of some town meetings where she was described as being very much defective and decayed in her understanding. At a meeting of the Quarterly Court her sons Samuel, Thomas and Isaac were ordered to sell what land was necessary to pay for her maintenance. She died on 8 July 1689. Her estate was divide between her single surviving child, Samuel, and her grandchildren. This post is about my immigrant ancestor Anthony Colby and his ancestors. They have been well researched by several outstanding genealogist including John Brooks Threlfall and Robert Charles Anderson. Much of what I am including in this bio comes from their published works. I have tried to throw in a few details about the daily life of these people as it makes them more real to me. If all I know about Anthony Colby is when he was born and when he died, he loses his appeal in my eyes. I like to try to imagine what life must have been like for him and those who came before me. I am descended from Anthony Colby thru two of his children, so that must make him my double 9 times grandfather. Two of his children married two of William Sargent's children. Anthony moved several times prior to settling down in Salisbury. I am also related to over 14 men who settled in that same town. If someone asked me where I can from I could almost say "I'm from Salisbury". 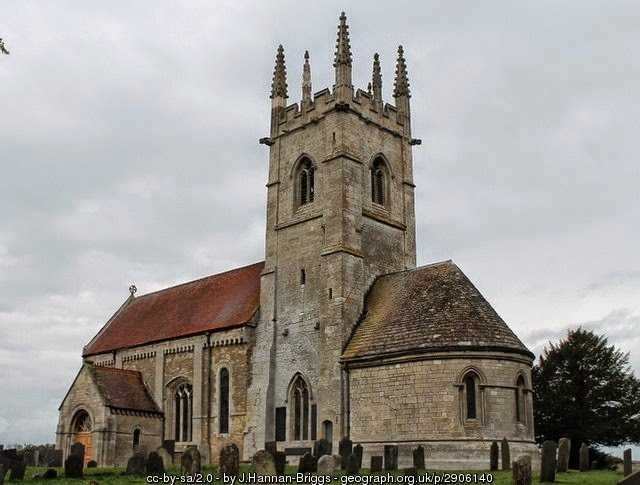 Anthony Colby was baptized in St. Andrew's Church in Horbling, Lincolnshire on 8 September 1605. Infants were usually baptized quickly after birth so it's pretty safe to say that he might have been born in late August or early September. Horbling is and was a small village in the parish of Sempringham which also includes the village of Pointon. The Colby name can be found in records going back to the 1400s. The Sempringham that those early Colbys knew was very different that what it is today. If fact there is almost nothing left of Sempringham, and what there is left of it is hidden underground. Sempringham was once a flourishing Saxon village with a Monastic Abbey dedicated to St. Gilbert its founder. 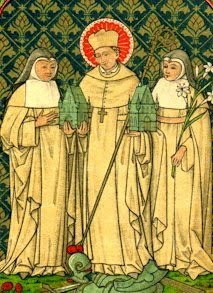 Gilbert was the only Englishman to start a purely English religious order, the Gilbertine Order which once had 2000 monks and nuns in thirteen houses spread over England. Today all that remains is the parish church also dedicated to St. Andrew, it was built in 1120. Those early Colbys would have lived near the Abbey and seen its destruction during the dissolution of the monasteries by Henry VIII in 1538. Although the Colby name is found in very early records, the first identifiable ancestor of Anthony Colby is his grandfather Matthew Colby. He was born about 1530 in the village of Pointon. His parents names are unknown, but we know that when his mother died, his father remarried. He and his new wife Agnes, who was a widow with children, did not seem to have any children together. His father died leaving Agnes widowed yet again. She wrote a will and died in 1575/6. Unfortunately, she left no clue as to her husband's name. Matthew lived in the village of Pointon. He married, about the year 1555, a woman known to us only as Mary. He described himself as a husbandman in his will. 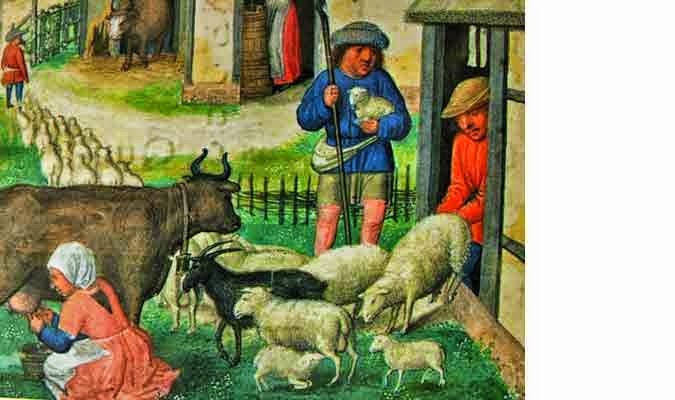 A husbandman in 16th century England was usually a farmer, he probably did not own the land he farm, but held it from the owner, or lord of the manor, and paid rent for it. A husbandman was a step below a yeoman on the social/financial scale, but above that of laborer. Much of what we know about Matthew and Mary comes from their wills. They owned steers, cows, sheep, pigs and horses. They grew pease, barley and "corn". Corn in England was not the same as corn in America. The word corn was used to describe wheat, rye or barley, basically any grain could be called corn. Europeans called american corn "maize". 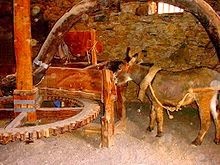 Matthew Colby and his brother William were co-owners of a horse-mill, probably used for grinding grain. His brother deeded his share to his son in his will. Matthew also had something called a kill-house, which I assume was a slaughterhouse. Matthew probably relied on his sons and daughters to help farm and run the mill. While her husband and sons were out working the fields and tending to their animals, Mary and her daughters had their work cut out for them with the running of the house. Just putting food on the table consumed hours of their time. All meals were made from scratch. They most likely made their own butter and brewed their own beer. They may have made bread and cheese as well.We have no idea how big their house was but in her will Mary bequeathed tables, chairs, bedsteads, feather beds, pewter, kettles, chafing dish, candle sticks, a great brass pan, brass pots, and iron brew pot, lots of linen including sheets, pillow cases, and table linen. She did not seem to have a spinning wheel or loom so it would seem that she bought any material needed for making clothes and all those sheets listed in her will. Several of Matthew's siblings have been identified, mostly through their wills. His brother William, the co-owner of the mill, and his family also lived in Pointon. William died in 1569, leaving his wife to raise their children. He left his house and land to his son Richard. Joan, his wife, died in 1578, their daughter Margaret was still a minor. In her will Joan directed that her brother in law Matthew was to have charge of her until she reached her majority at 18. At that time she would be paid her inheritance by her brother. Matthew was also to have use of some of the land for Margaret's benefit. Matthew also had a sister Alice and a brother Robert both named in his will. In October of 1591 Matthew Colby was sick, so sick that he was, in fact, dying. He wrote a deathbed will on the 8th and was buried in the churchyard at Sempringham two days later. In his will he made bequests to all his children and his brothers and sisters. The bulk of his goods he left to his wife Mary. No real estate was mentioned in the will. Matthew was probably about 60 years old when he died, it was a decent life span and there is nothing unusual in his death, until you hear the rest of the story. On 1 December, less than two months later, Mary Colby was writing her deathbed will. She survived another few weeks and was buried on the 18th. Her youngest son died and was buried on the 31st of December and her youngest daughter died and was buried on the 10 of January. Half the family was gone in a matter of months. What did they die of? It is very likely that their deaths were the result of some communicable disease. The 1590's were especially cold and the crops failed in 1591. With hunger and famine come disease. Now the Colby's may have had plenty to eat, but this might not be true for all the folks living around them. With little to no knowledge about the spread of infectious disease the Colbys were as susceptible as anyone else. Thomas Junior was lucky to survive the epidemic which took his parents and two of his siblings. He was 24 when his parents died. He married five years later in 1596. His wife was Anne Jackson of Horbling. 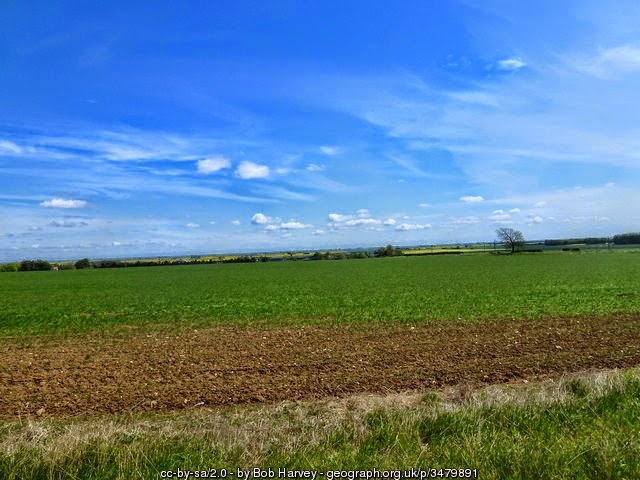 Horbling is only a few miles from Pointon. Thomas had branched out from farming and was a tailor by trade. He must have been fairly successful as he had bought a second house in the town of Donnington about six miles to the east of Horbling. Not much else is know about Thomas. He wrote his will on 10 December 1625 and was buried the next day. Anne Jackson was the daughter of Richard Jackson of Horbling. His family can be traced only to his father William. The Jackson family seems to have been better off than the Colbys. In their will the Jackson men styled themselves as yeoman. The men also held positions in both the town and church and either owned or held by copyhold land and houses. Anne's grandfather was William Jackson of Horbling. Although he described himself as a husbandman he seems to have been fairly well off. He was born by the year 1500 and married Agnes Pickworth by 1530 or so. They had two sons and six daughters. William wrote a deathbed will in early May of 1549, Agnes died in 1571 also leaving a will. 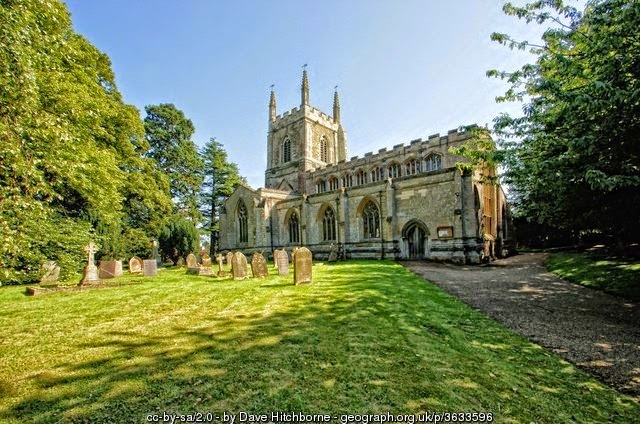 Although William lived in Horbling, he also owned land and a house in nearby Threckingham some 2 1/2 miles to the east. He left the Threckingham land to his son John on the condition that he listen to the counsel of his mother, brother and uncle. If not, the land would go to his brother. William is recorded as being a Village Alderman in 1538 and 1540. The aldermen were like a medieval city council. They attended to village matters and settled local disputes. Aldermen were usually the wealthier villagers. William's daughter Joan married a man from Threckingham. The were well off having land in at least six different locations. In his will Joan's husband was able to leave a significant amount of money to his children and grandchildren and listed several silver spoons in his bequests. William's daughter Margaret was married to the Vicar of Horbling. When Agnes Pickworth Jackson died in 1571 she made bequeaths to all her living children, grandchildren, god children. She left money for the church in Horbling, for the repair of the Lincoln Minster and she left money to every Cotter (small farmer) in the village. These bequests probably had more to do with the state of her eternal soul and a social conscience, but I'm sure the money was welcome. Richard Jackson was probably the second son of William and Agnes. He was born around 1537-1542. His wife is known only as Elizabeth, her parents have not been identified. They had at least seven children. Richard wrote his will, in which he was called a yeoman, in October of 1607. He was buried in the Horbling churchyard on 25 Oct 1607. Elizabeth was buried 14 September 1619. Richard, like his father, held various village positions. He was churchwarden at the Horbling church for many years. His brother in law, Anthony Langton, was the Vicar at Horbling from at least 1577 until his death in 1583, which may have influenced his appointment to the job. The churchwarden was responsible for the public parts of the church, including any books, linens or silver. He was also responsible for the churchyard. In 1578 Richard was recorded as being the village constable. This was an important position. The duties of which included administration of the local militia, serving court orders,apprehending criminals, collecting taxes, as well as other duties. Anthony Colby never left any direct evidence to tie him to this Colby family in Horbling. But the fact that he was of the right age, that he disappeared from English records at the right time and the clincher, he was from the same small village as Simon Bradstreet seem to make his identification correct. My next blog post will be about Anthony and his life in New England. My last several posts have been about the Foss and Sargent families, this one is about David Foss, the last of his name in my tree. He was born in Chester, NH in 1744. His parents were John and Tabatha Sargent Foss. John died shortly after David's birth. Tabatha remarried several years later, her new husband was Hezekiah Underhill. He and Tabatha had at least four children. On 1 September 1767 David married Anne Richardson also of Chester. Her parentage is undetermined. There were at least three men named Richardson that lived in Chester at the time, they were brothers Thomas, Moses and Daniel. Thomas had a daughter named Hannah b. 1740 but she is accounted for. Daniel had a daughter named Anna but she married a Gideon Currier. Moses had a daughter named Anne who seems to be unaccounted for. She might be our girl. David lived all his life in Chester on the land that he inherited from his father John. He bought additional land in 1780 and in the deed styled himself 'Yeoman'. So he probably farmed for a living,but listed in the inventory of his estate were shoemakers tools, so he might have also had a side business in shoe making. His step-father, Hezekiah was a shoemaker or cordwainer as they were called at that time. According to Chase's History of Old Chester, David Foss lived on Great Hill, near top in what was known as the Walnut Hill District. There is a cemetery on Great Hill, I wonder if it is on what was once his land? There is not much information about David. He did sign the Association Test in 1776, but he was not a soldier in the war. 7. Jonathan Underhill b. 1780, probably named for his Uncle Jonathan Underhill, KIA American Rev. Anne's last child, David, was born in January of 1785. Her husband David married a woman named Elizabeth on 1 August 1785. Anne's death was not recorded, or if it was it's been lost. But, she must have died shortly after giving birth to David, or not long after. She left David to care for at least seven children one of whom was only an infant. David did what any prudent man would, remarry and provide a mother for his children. David and his new wife had a daughter, Lucretia, the following July, less than a year after their marriage. But, any happiness her birth might have brought to the family was soon extinguished with the death of her father David, he died on 8 Dec 1786, less than six months after her birth. He left six children, now orphans, under the age of ten. The oldest son, John, was only fourteen. Samuel Underhill became administer of David's estate. He was paid by the estate for the keeping of the children that were under seven at the time. I assume that means he took over the care of them, including Lucretia. The probate court decided that the real estate left by David was only valued at about 50 pounds and should be given to the oldest son John. He would in turn pay his siblings about 5 pounds a piece. I am descended through David and Anne's daughter Anna. She married Reuben Moore of Chester.